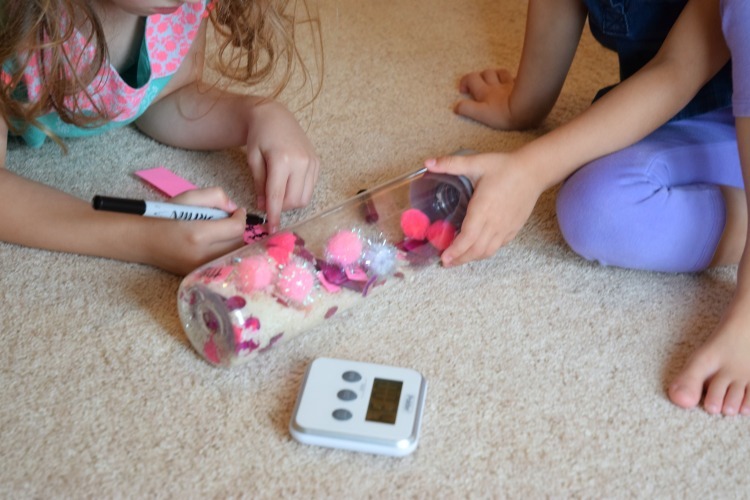 This Sight Word Discovery Bottle is such a fun way to supplement sight word learning! My youngest daughter, Maggie, has been sounding out simple words for a while, but she's been uninterested in learning sight words. This activity had her and big sister Lena searching, shaking, learning, and discovering for a long time. Sometimes a little game or activty is just the ticket to facilitate learning. 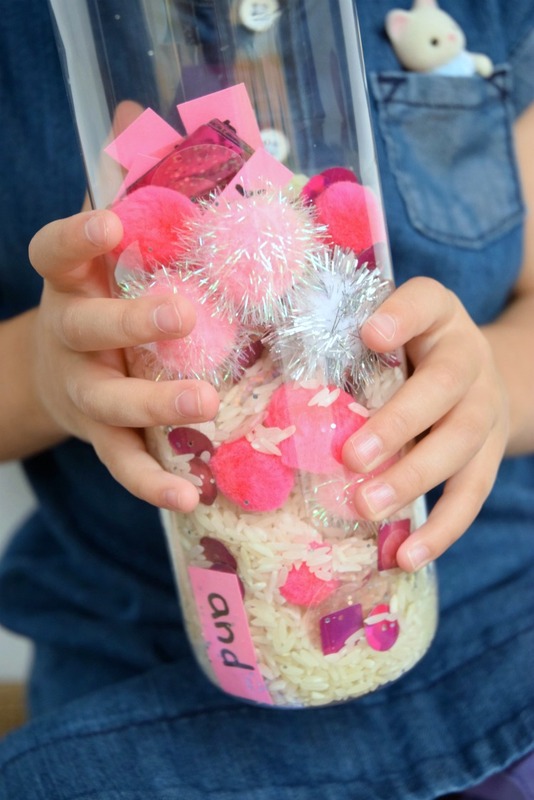 The idea for this sensory bottle came from the book 100 Fun & Easy Learning Games For Kids by Amanda Boyarshinov and Kim Vij. They're the authors of the blog The Educators' Spin On It, and have written a truly amazing book! You'll find DIY games and activities that you can complete with everyday household objects to help teach reading, math, writing, geography, music, art, and more. One of the things I love most about the book is the full color photographs that show the activities. It really helps to inspire learning! I received an advance copy of the book and couldn't wait to share an activity with you. All opinions are my own. 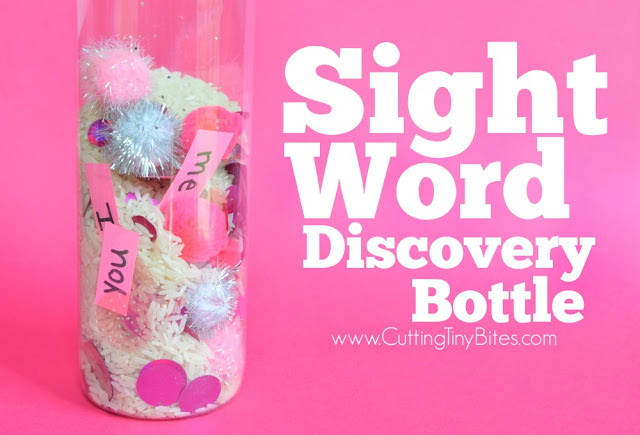 Here's how to make a Sight Word Discovery Bottle of your own! Dump it all in the bottle. Ha! Since your child will need to shake the contents around to search for the sight words, you don't want it too full. We filled ours about half way. Another tip for assembling your bottle is to put the slips of paper in separately, rather than all at once. On my first try, I put all the words in in at once, but they didn't separate well despite loads of shaking. I emptied the bottle into a bowl and refilled it, adding one sight word paper slip in between batches of the other contents. 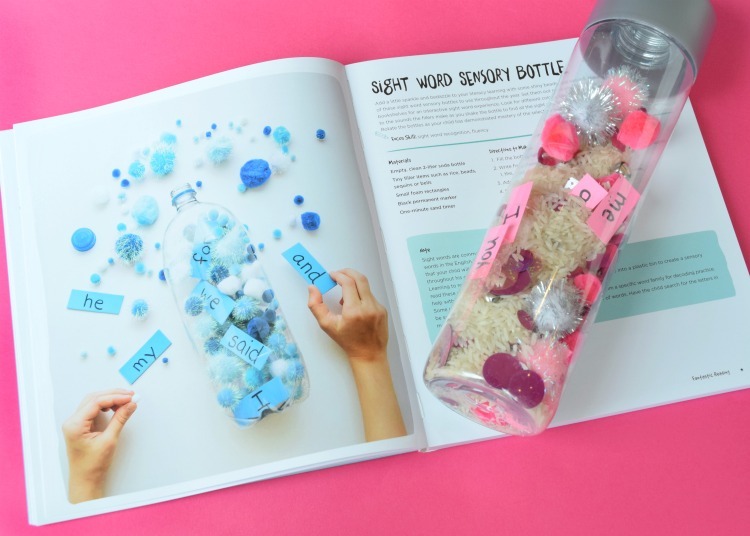 Let your child shake the bottle to search for sight words! We especially loved setting a time for 1 minute to see how many we could find before the timer beeped. I made a list of the words I had included in the bottle and checked them off as the girls called them out. When we started playing, Maggie was still sounding out each word, but after several rounds she was yelling them right out! There are SO many great ways you could change up this activity. 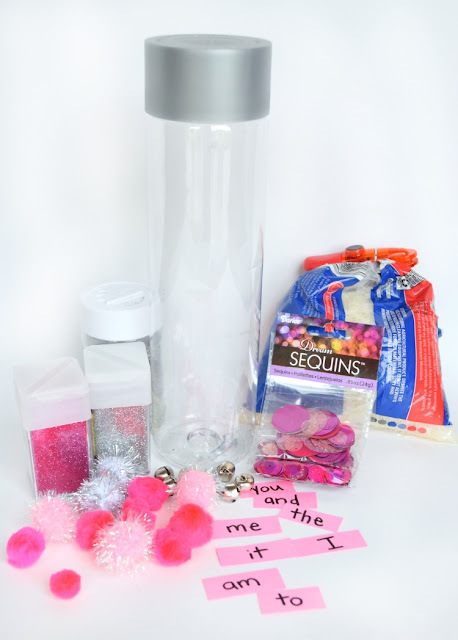 You could put whatever you have on hand in the bottle-- beans, beads, water beads, pasta, pompoms, or nature materials. You could add letter beads or manipulatives instead of sight words. You could add numbers or dice or objects of different colors or shapes! Basically add whatever your child is learning to a bottle filled with whatever you have! 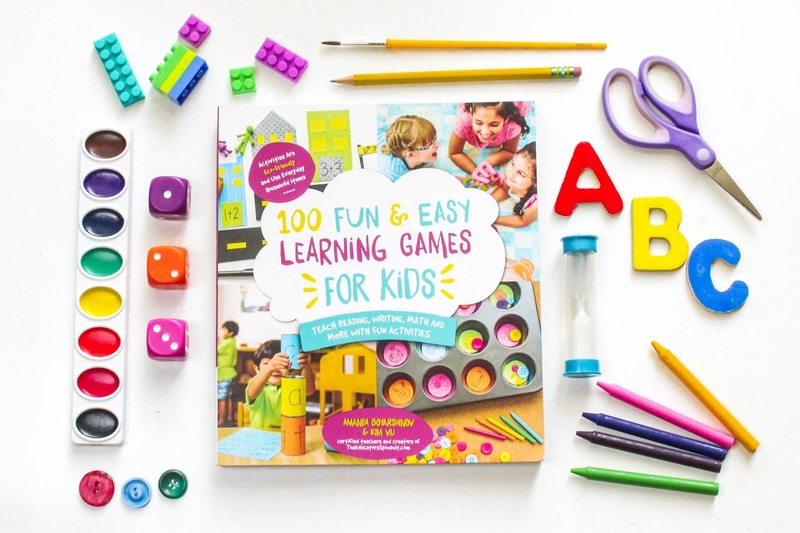 One of the best things about 100 Fun and Easy Learning Games For Kids is that you'll find lots of variations of each activity to extend the play and learning. This allows you to play the games with young preschoolers, kindergarteners, or even elementary kids. Pick up a copy and see which game you want to play today! 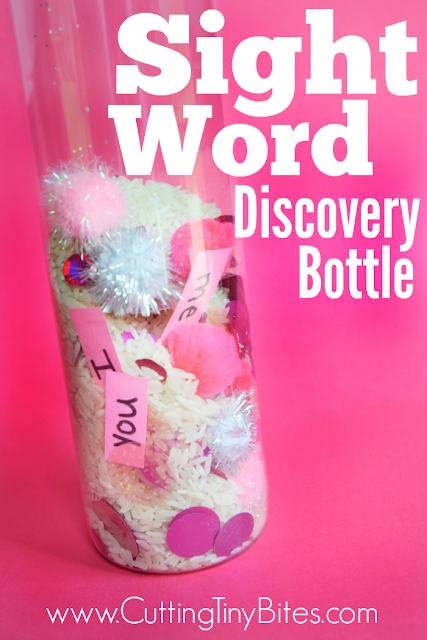 Sight Word Discovery Bottle. Great activity to encourage children to learn sight words, or modify to learn letters, numbers, shapes, or colors! Fun game for toddlers, preschoolers, or kindergartners.